Manhunt for Waffle House gunman. Kendis Gibson reports during Action News Mornings on April 23, 2018. NASHVILLE -- As an intensive manhunt continues for the suspect in a Waffle House restaurant shooting that killed four people, police are warning residents of a Nashville neighborhood to beware of the alleged killer. Person of interest named in deadly Waffle House shooting. Gray Hall reports during Action News at Noon on April 22, 2018. Multiple dead in Waffle House shooting. Gray Hall reports during Action News Mornings on April 22, 2018. 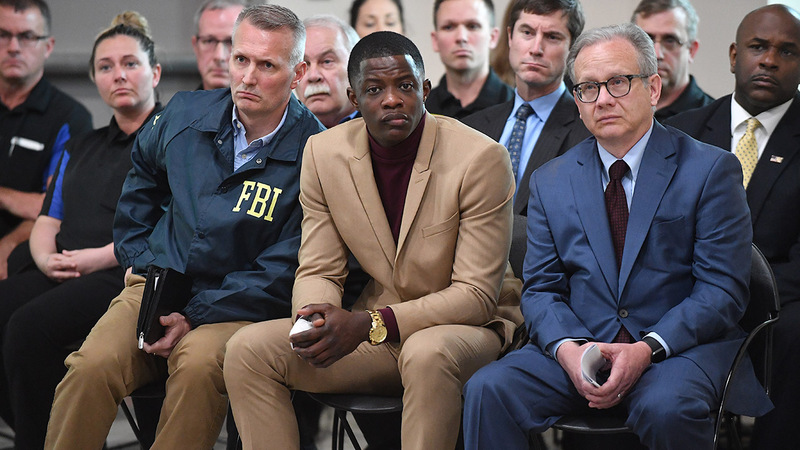 Shaw, who is a Nashville native who works as a wireless technician for AT&T, said he was no hero - despite being hailed as one by Nashville Mayor David Briley.